How can you correct some of the deceptive perspectives, or even worse, outright biases, without surrendering your own powers of comprehension? What is humanly possible to change your mind? I think we should embrace every sincere invitation to let us listen better to voices easily overlooked in our regular research practice and use of sources. In the project under discussion in this post I will as usually try to look first of all for its qualities, and not only for things to be repaired or bettered. Epistolae: Medieval Women’s Latin Letters is a project created by Joan Ferrante, a professor of English literature at Columbia University, New York. Its core is a corpus of nearly 2,400 medieval letters, both in English translation and in the original languages. What does this substantial collection contain, and what not? How easy can you use its contents? What is in these letters for legal historians? The letters in the Epistolae project are written in Latin. They date from the fourth to the thirteenth century, and thus there are texts from Late Antiquity up to the century which often has been seen as the apogee of the Middle Ages. The collection contains both letters sent by women and letters they received. Apart from browsing the entire collection you can search the letters using separate search fields for the title of a letters, senders and recipients, and there is also a global search field. The first three fields automatically generate suggestions for items containing a part of your search which you can select for quicker searching. By clicking on the title of a column in the results view you can change its sorting order. There is a basic bibliography for the resources used for this project, with in many cases only the title of publications and their presence in Columbia’s university library. In the second section of the project you will find biographies about the women figuring in the project. One of the things I quickly noticed is probably one of the historian’s idols, the absence of years or a period of years in a number of search results. In some cases a global date can be added easily because we know the years in which the sender or recipient lived. Historians prefer to know from which period or year, or when necessary even from which date a source stems. Temporal precision helps you to avoid generalisations for a period like the European Middle Ages which span a continent during a millennium. However, the thing clearly most important here is showing the existence of letters written by women or received by women in a language mostly associated with men and male education. However large the number of more than 2,300 letters may seem, you will probably want to see as many letters written by women as possible, and in a second set letters written to women, and you might want to have also easy access to letters sent among women, but I do not see here the possibility to create this subset quickly. With this in mind I was rather amazed that you will find for Hildegard of Bingen (1098-1179) only three letters dictated by her and three sent to her. Her correspondence is good for three volumes in the modern scholarly edition, Hildegardis Bingensis, Epistolarium, Lieven Van Acker and Monika Klaes-Hachmoller (eds.) (Turnhout: 1991-2001; Corpus Christianorum, Continuatio Medievalis, 91, 91a and 91b), commonly seen as the one of the largest collections of letters written by a medieval woman. Hildegard is justly famed for the wide variety of people she wrote to and writing to her. The examples given here are restricted to letters to Elisabeth von Schonau, Eleanor of Aquitaine and Bernard of Clairvauc, and letters of Bernard of Clairvaux and Elisabeth von Schonau. The entrance for Hildegard of Bingen mentions the English translation [The Letters of Hildegard of Bingen, Joseph L. Baird and Radd K. Ehrman (Oxford etc., 1994, 1998, 2004)]. I did not find a statement on the website for this severely restricted choice, but it might be a matter of creating a balance between well-known and lesser known women. You could bet I would look in the database of Epistolae for Dutch women, and this is indeed fruitful and revealing. There are 127 search results for a global search with the term Holland, and 208 results when you search for Flanders. However, something else becomes also visible. Each letter with more than one sender or recipient is recorded as many times as there are senders and recipients. Let’s look for example at the two charters of count William of Holland addressed to Margaret of Constantinople, countess of Flanders, written both May 19, 1250 in Brussels. I could not help spotting that William is according to the first charter only count of Holland, and in the second charter he figures as king of Romans. Ashleigh Imus provided Ebnglish translations of these charters. I checked the text also in the source mentioned at Epistolae, the Oorkondenboek van Holland en Zeeland tot 1299 (OHZ), A.C.F. Koch, J.G. Kruisheer en E.C. Dijkhof (eds.) (5 vol., The Hague 1970-2006) digitized by the Huygens Institute / Institute for Dutch History. The first charter, no. 851 in the OHZ, reads clearly “Willelmus Dei gratia Romanorum rex semper augustus, comes Hollandie,” both king and count, with for Margaret, “Margareta Flandrie et Hainonie comitissa”, yet another county, Hainault. In the second charter (OHZ, no. 856) William is called only king of Romans, “Willelmus Dei gratia Romanorum rex semper augustus”. When you check the OHZ you will see Margaret figures in more charters dated May 19, 1250. In no. 858 her name is abbreviated. No. 701 of December 16, 1246 is present in the Epistolae database, but this charter was not addressed to the abbot and monastery of Doesburg. Thosan is the Flemish monastery at Ter Doest. In yet another letter, this time addressing pope Gregory IX in 1242, Ashleigh Imus rightly corrected a misprinted location in an old Italian edition. The charter mentions indeed Veurne (Furnes) in Flanders. There is a summary of this charter in the registers of pope Innocent IV [Les Registres d’Innocent IV (1243-1254) I, Elie Berger (ed.) (Paris 1884), p. 52, no. 290], dated “Datum Lateranensi VI Idus Decembris”, December 8, 1243, and not on “III Nonas Decembris”, December 3, and edited from the papal register Reg. Avon. I 289, f. 47. I could not find this charter at the Belgian portal Diplomatica Belgica. Ferrante mentions the conflict about Hainault in her very interesting short biography of Margaret of Constantinople (1202-1280), without however caring to give the date of her birth and death. You can check the charters of the only Dutch king of the Holy Roman Empire also in Die Urkunden Heinrich Raspes und Wilhelms von Holland, Dieter Hägermann and Jaap Kruisheer (eds.) (Hannover 1989; Monumenta Germaniae Historica, Diplomata), available online at dMGH, the digital platform of the MGH in Munich. The two charters nicely shows the difficulties of recording in a database the presence of multiple people involved with one item, and in this case even two person with two roles in the first charter. Things are clearly not entirely correct when you cannot find Margaret when you use a global search for Hainault. I am afraid that you got to be very much aware of the fact that only 800 letters have been entered into the Epistolae database, even though 2000 letters have been collected and await further treatment. If you want to follow the trail of charters in the Low Countries you can consult online several modern editions. For Guelders you have the Oorkondenboek van Gelre en Zutphen tot 1326, for the diocese Utrecht Oorkondenboek van het Sticht Utrecht tot 1301, S. Muller Fz. et alii (eds.) (5 vol., Utrecht 1920-‘s-Gravenhage 1959). For Brabant the Digitaal Oorkondenboek van Noord-Brabant brings you even more than the printed editions. Older editions for Frisia, Groningen and Drenthe can be consulted and searched at the Cartago platform. My probings in the Epistolae database point in the direction of a conclusion which is not entirely surprising. It seems a good thing to put in both real letters and charters into one database on the same footing, but alas charters need to be treated in a very distinct way in order to become usable for research. The projects for Holland, Utrecht and Guelders give you a searchable database and both OCR-scanned texts and images of the original edition. Of course you want to use all possible relevant sources about particular women, but putting them into a database and creating a reliable scholarly resource is not an easy thing, regardless of the subject you want to investigate. In the Epistolae database you cannot search directly for letters by women sent to other women, a thing many people will want to look for. In many charters women, in particular those of high rank in medieval society, do all kinds of things, in particular actions with legal consequences. It is perfectly understandable that you would like to have as many sources as possible in a single online resource, but one has to accept some consequences. To the philological skills needed to study medieval letters you will have to add the skills of the classic historical auxiliary sciences such as diplomatic,s the study of charters, and palaeography. Joan Ferrante wisely choose to rely on printed editions for her enterprise. Her knowledge of medieval literature and approaches of this vast subject has led her to launching a database that has its strength primarily in the letters given both in Latin and English. Realizing the idea of wanting to show both writing letters and using the pen for legal matters in charters is not unthinkable, but it will be a tour de force. Finding the voices of medieval women is a quest in itself, but you cannot afford to lose sight of all tools needed and existing. Another thing that needs stressing is attention to the epistolary genre with its own particularities. You can get an idea of a further mixture of matters relevant to legal history by looking for example at a recent volume concerning the papacy and letters, Kuriale Briefkultur im späteren Mittelalter. Gestaltung – Überlieferung – Rezeption, Tanja Broser, Andreas Fischer and Matthias Thumser (eds.) (Cologne-Weimar Vienna, 2015; Regesta Imperii Beihefte, 37), available online at the website of the Regesta Imperii. In his contribution in this volume, ‘Letter-Collections in the Middle Ages’ (pp. 35-50), Giles Constable explains medieval letters are most often transmitted within collections. A real letter could be expanded and refined to serve as a literary text. He stresses the double nature of letters and charters which can have both a personal and businesslike character. Constable urges scholars to look carefully at each individual letter, and not to conclude things hastily because it is preserved in a particular collection. Wise words from not just one of the best known medievalists, but from a doyen in the field of medieval letters. His volume on Letters and letter-collections (Turnhout 1976; Typologie des sources du Moyen Âge occidental, 17) has been digitized by the MGH. You can learn basic things about medieval letters also in the chapter ‘Epistolography’ by Julian Heseldine in Medieval latin: An introduction and bibliographical guide, Frank Mantello and Arthur Rigg (eds.) (Washington, D.C., 1997) 650-658. On the resources page of Epistolae this guide is mentioned without a reference to this chapter. Speaking of the MGH, it is now possible to find at their dMGH platform also editions of letters in the Epistolae series, in particular the volumes of the Epistolae saeculi XIII e regestis pontificum Romanorum selectae, Karl Rodenberg (ed.) (3 vol., Berlin 1883-1897; MGH Epp. saec. XIII) in which you will find both real letters and more official correspondence. A letter to Joan of Constantinople, countess of Flanders and Hainault, sent by pope Gregory IX on November 5, 1235 (I, 563, no. 666) can be added in the Epistolae database. Among the latest publications of the MGH is the Codex Udalrici, Klauss Nass (ed.) (Wiesbaden 2017; MGH, Die Briefe der deutschen Kaiserzeit, 10) with early twelfth-century letters around the investiture conflict compiled by a cleric at Bamberg. When finishing this post I could look also at the remarks about medieval letters in the first edition in Dutch from 1962 of the famous Guide to the sources of medieval history (Oxford 1995), also translated and updated as Introduction aux sources de l’histoire médiévale: typologie, histoire de l’érudition médiévale, grandes collections, sciences auxiliaires, bibliographie (Turnhout 1997) by Raoul van Caenegem and François Ganshof, to mention only the latest versions. Both authors mentioned in 1962 already everything I summarized here from later introductions to a rewarding genre which you cannot approach as if you can read everything at face value. The most paradoxical thing about the project of Joan Ferrante is her apparent neglect as a professor of medieval literature of a thing which any student would know and duly acknowledge. It is one thing to set out to correct the bias filtering medieval women out of view, another thing to tackle the apparent biases in two distinct kinds of sources, medieval letters and charters. Both genres share a mixture of objective matters and personal touches. I am convinced of the need to use gender perspectives, but perhaps I am also too much a medievalist to forget about the challenges medieval sources pose for any kind of research. What can and has been done in research about medieval women can be traced in the online bibliography at Feminae: Medieval Women and Gender Index. You should not miss the bibliographies at Queens in the Middle Ages, too. A portal such as Monastic Matrix concerning medieval women’s religious communities is a model of its kind. The presence of English translations and accompanying biographies is surely most valuable for the Epistolae project, but the mélange of letters and charters has resulted in a rather unexpected mixture. It would be wonderful to use both genres together in one database, but one has to overcome some very real problems before you are able to hear the true voices of medieval women. In my opinion this database deserves a remix, an update with the 1200 letters waiting to be entered, and some tuning of the biographies and search interface to become fully operational as a search tool which can fulfill many needs. This entry was posted in Libraries and tagged Classical Antiquity, European history, Legal history, Medieval history, Medieval law, Political history, Social history, Women's history on February 20, 2018 by rechtsgeschiedenis. An old advertisement trick is using the words new and better. In this post I will look at a new version of a digital collection with medieval manuscripts which indeed can now be reached to a fuller extent. Parker Library on the Web 2.0 is the fruit of cooperation between the Parker Library of Corpus Christi College, Cambridge and Stanford University Libraries. The first version of this most varied digital collection did not make everybody happy. Let’s look here at some of the changes, and also make a tour of manuscripts which can be connected to legal history. For some reason Corpus Christi College, Cambridge had until January 10, 2018 granted only partial online access to external users for viewing the more than 500 medieval manuscripts in its rich collections. The main problem was you could not look properly at contextual data for the manuscripts, and you were deprived of viewing bibliographical information. One of the jewels guarded is an illustrated manuscript with the chronicle of Matthew Paris (ms. 16), with one of the most used depictions of a medieval church council at f. 43v. I could not show it to you in my 2015 post about the Fourth Lateran Council of 1215. However, the important manuscript catalogue by Montague Rhodes James, A Descriptive Catalogue of The Manuscripts in the Library of Corpus Christi College Cambridge, Vol. I (Cambridge, 1909) and Vol. II (Cambridge, 1912) could already be consulted online, but not the information about more recently added manuscripts or about research concerning them since the work of M.R. James was published. The new version of the digital Parker Library makes up for a lot of these deficiencies. The library now offers an overview of the successive manuscript catalogues where you can view online or download them. The Parker Library owes its start and a substantial number of its earliest manuscripts to archbishop Matthew Parker (1504-1575). As archbishop of Canterbury he donated in 1574 some 400 books to Corpus Christi College. Many of these books come from monasteries dissolved in 1535. Since 2010 you can follow the Parker Library also on its blog and on Twitter. Is everything now readily accessible in the new version of this digital library? I could not help proceeding immediately to Matthew Paris’ Chronica majora and f. 43v of ms. 16. The first thing I noticed was the not quite convincing working of the general search field. Searching without filter, using Everything for “Chronica majora”, leads you only to references about this chronicle, and not to the manuscript itself. In 2003 the manuscript and its binding were separated. The manuscript is now called 16II. When searching you have to add a prefix zero, 016. You will have to consult the Hints and Tips section in order to create successful searches. On reaching ms. 016II I looked in vain for the famous illustration. Its presence is not indicated in any way, but you can guess something is missing because you can view only the upper half of this manuscript page. Anyway, you can find perhaps some consolation in the online presence of the study by Suzanne Lewis, The art of Matthew Paris in the Chronica majora (Berkeley, CA, etc., 1987; online, Internet Archive). The image of the cardinals at Lateran IV is shown in black-and-white on page 122. Richardus de Pophis, Summa dictaminis secundum stilum romanae curiae – Corpus Christi College, Cambridge, Parker Library, ms. 445, p. 3 – image Master and Fellows of Corpus Christi College, Cambridge. Licensed under a Creative Commons Attribution-NonCommercial 4.0 International License. After this foray into the functioning of the new presentation and attempting to find a very particular illustration it is best to try to uncover the rich manuscripts of the Parker Library in another way. Lately Ben Albritton, involved at Stanford with technology concerning digitized manuscripts, wondered at Twitter why a particular manuscript [CCCC MS 445: Richard de Pophis, Summa dictaminis secundum stilum romanae curiae] was the least visited item of the online Parker Library. This text is concerned with the wording of acts and letters in use at the papal curia, more commonly dubbed the cursus. Let there be no misunderstanding that I could retrieve ms. 445 without any problem. This manuscript is certainly to be linked with medieval canon law, yet it does not occur among the 22 search results for “canon law”. On closer inspection there is no field in the full description for genre and/or subject. A similar search for Roman law brings only four manuscripts. Ms. 77 with Guilhelmus Duranti’s Speculum iudiciale rightly figures among the results in both searches. The variety of texts, including the Decretum Gratiani, the Decretum of Ivo of Chartres, other decretal collections, registers and cartularies, gives you a fair idea of the range of texts concerning medieval canon law. In this respect, too, the Parker Library is indeed interesting. Wisdom tells me a search for statutes might be more useful than searching for English law, but eventually both yielded some twenty results with not much overlap, another testimony to the rich variety of the Parker Library, but also a fact pointing to the importance of classification. When you search apart from canon law, Roman and English law, for glosses, decretals and judges you will find here most of the manuscripts touching upon legal history. However, the tricky thing is that you cannot be sure you have found all relevant materials without checking also the manuscript catalogues. This diminishes the importance of the new use here of the International Image Interoperability Framework (IIIF) for easy and reliable comparison of manuscript images. The Parker Library scores with the easy access to the current and historic manuscript catalogues. For some manuscripts the bibliographical information is excellent. I had some trouble with the Mirador viewer used here to implement IIIF, although this viewer has been optimized for this aim. You can use the arrows to flip through a manuscript, but in the top field with the indication of the page or folio number nothing changes. At other websites I did not have this problem with the Mirador viewer. Keeping in mind I used here the new version of the Parker Library it seems some problems, such as the counter of the viewer, are typically early user problems which hopefully will be addressed and solved quickly. Finding a particular category of texts or a manuscript genre is not completely possible. I realize I am perhaps too much inclined to the use of categories and tags and to prefer very specific search questions, but I am convinced good classifications are really helpful. Having access to bibliographical information and being able to compare images in a reliable way with manuscripts elsewhere, is certainly among the strengths of the Parker Library. It will be helpful, too, when a correct link to Parker Library on the Web 2.0 is also added to the great portal with the Digitized Medieval Manuscripts App (DMMapp). Let my first impressions not deter you from visiting the new gateway to the medieval manuscripts of Corpus Christi College, Cambridge! This entry was posted in Libraries, Manuscripts and tagged Common law, Cultural heritage, Digital libraries, Legal history, Manuscripts, Medieval canon law, Medieval history, Medieval law, Open access, United Kingdom on January 17, 2018 by rechtsgeschiedenis. Once upon a time you made good wishes for every new year. You promised yourself to set one or more substantial goals to pursue with all your talents and capacities in order to obtain results that often would led to higher self-esteem and other lofty qualities. Wisdom teaches us real changes come in small steps, not with giant leaps. In this post I will look not just at one project, but at a foundation supporting many projects. The Council on Library and Information Resources (CLIR), based at Washington, D.C., has a fine record of supporting all kinds of projects for libraries, archives and documentation centers. One of their latest projects is the CLIR Hidden Collections Registry. If this truly works, it would perform a most welcome service. What does this registry contain? How can you search in it for particular collections, themes or periods? Does it fulfill its purpose and promise? Knowing about the support of CLIR for projects which are of interest for legal historians prompted me to test the new registry website. Apart from the findings about the registry I intend to report on some incidental catch as well. You might be slightly surprised by the jolly title “Hide and seek”, but there is here indeed an element of play. The very title Hidden Collections Registry contains a joke: How can you bring together and register what is described as hidden? If you have found a hidden thing, it is discovered once and forever, provided you share your discovery. CLIR aims here at bringing together information about collections that led a more or less hidden life. Thanks to CLIR funding they have become more visible and accessible to the public. Some members of the public do equate accessibility with online access. I work at Het Utrechts Archief, an archive with more than 1,300 collections, good for some 32 kilometers on our stacks. It will take herculean efforts to digitize everything, even if you succeed in making every year one million scans. We try to put every finding aid online. Sometimes we can only offer a list of the boxes in a collection in anticipation of fuller treatment. Every year some collections will be digitized entirely, but for some important series we can add only ten or twenty digitized years per annum. Funding can be most helpful to tip the balance between only offering digital finding aids and some small digital collections on one side, and on the other side creating large digital collections or dealing with fragile and very special collections not fit for the normal digital road. CLIR succeeds indeed in supporting a wide variety of projects. The latest CLIR overview published on January 4, 2018 is no exception. Among unexpected things is for example the very first item, a project of The Moravian Archives in Bethlehem, PA, Archiving Antigua: A Digital Record of Pre- and Post-Emancipation Antigua, 1760-1948. The Moravian Brethren are a protestant missionary organization which has been active first in Europe, but rather quickly in the Americas. At Het Utrechts Archief are some thirty archival collections concerning a number of settlements, branches and even factories of the Moravian Brethren; when searching for “Evangelische Broeders” and “Broedergemeente” you will find them. I checked quickly for more Moravian stuff in the Hidden Collections Registry. The newly funded collection should be added to the three very different projects concerning the Moravian Brethren included in the CLIR registry thus far, a music collection, the first hundred years of the Pennsylvania settlement, and a collection documenting several German spiritual movements. For each item the CLIR registry gives a concise overview and indications of the period involved and the geographic scope. It is useful, too, to have not only the name of the institution but also the name of a person to contact. To every item in the registry tags are added concerning the formats of materials. You can search for themes and periods, for projects funded by CLIR – a total of 162 – and for projects in a particular year, starting with 2008. You can imagine how eager I am to look for projects before 2017, because the newest projects have not yet been included. I started searching with the words legal history and this resulted in 37 results, a nice percentage of the nearly one thousand projects funded until now. Let’s look at some results. The colonial library of Jasper Yeates was to be digitized in a 2012 project. The city and state of LancasterHistory in Lancaster, PA are not indicated in the registry entry. A second project from 2008 concerned the political and governmental history of Alabama from 1799 to 1948; no institution is specified. The third project dealt in 2014 with Massachusetts petitions on women’s rights between 1619 and 1925, a project of the Radcliffe Institute for Advanced Study at Harvard University. With some surprise I saw among these results a project at UCLA for its palaeontological collections, funded by the CLIR in 2010. It seems the separate appearance of the words legal and history was enough for inclusion, as is the case for the project concerning Midwest organic tools. Adding a real field for tags will help much to solve this problem. It is truly difficult to choose among the 37 results concerning legal history more examples, because many projects are really interesting, from Illinois Circuit Court records to the well-known project to digitize 30,000 French pamphlets at Chicago’s Newberry Library, and from the legacy of slavery in the Maryland State Archives to the papers of civil rights activist Margaret Bush Wilson (Washington University, St. Louis, MO), entered in the registry for 2011 and 2012, a project for native American petitions in Massachusetts (Yale Indian Papers Project), and the digitization of the M. Watt Espy papers concerning the history of the death penalty in the United States since 1608 (SUNY, Albany). Legal history is clearly not out of view within the CLIR collections program. Faithful readers of my posts are used to the proliferation of links in my posts which usually lead you directly to a particular website or project. If you find something interesting and want to leave my blog, you should indeed use these links immediately. It is the very purpose of the links to bring you to particular addresses! However, it is embarrassing to give you in the first half of this post only links to the CLIR registry, and not as usual links to the websites with these projects. The CLIR Hidden Collections Registry does not contain links to the websites of institutions with a particular project nor the links to the results of projects. Not mentioning links, not even only for the CLIR funded projects, is not what you expect in any registry or list of funded digitization projects. In its current state the registry lives not up to reasonable expectations. It is a shame in particular, because the organization proposing this tool without links is the very Council on Library and Information Resources, an organization which aims at helping institutions to communicate better. In its current state the CLIR Hidden Collections Registry succeeds to a certain extent in hiding collections. As for now teachers should not hesitate to test the digital abilities of their students and pupils, and ask them to find the URL’s of complete projects! In some cases you will not find the results at the website, subdomains or portal of an institution. I will not completely spoil this game, but a few examples might be instructive. 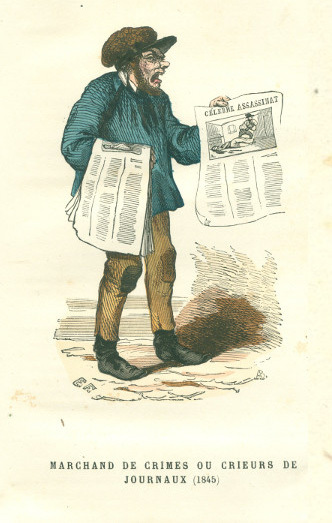 The Newberry Library in Chicago has uploaded 30,000 digitized French pamphlets to the Internet Archive. At least one resource mentioned here does reach into the twenty-first century, and gains in value from the long period covered. In fact the very project that made me want to use the CLIR Registry is the project concerning the death penalty in the United States, a resource not only of interest for historians. The M.E. Grenander Department of Special Collections & Archives at SUNY, Albany, is home to the National Death Penalty Archive, with as its jewel the M. Watt Espy Papers. You can find the results until now at the Espy Project page. As for now, data are being processed in a GitHub project. You can find some examples of notes in these papers on a news page of the libraries of the State University of New York at Albany. The links section for this project in the CLIR registry will have to be substantial. The Yale Indian Papers Project (YIPP) has only an announcement about the funding by CLIR, but you can already find some digitized petitions, maybe from other institutions not touched by the grant, or on the other hand the first results. I am aware that in a number of cases there is not yet a URL for a project. In such cases you will need even more the web address of the relevant institution. The Hidden Collections program of CLIR aims at the realisation of the potential of collections, by helping with funds for either the preservation and cataloging of one or more collections, or by giving grants which make digitization and online open access possible. It is only logical to show the successes of this program. Dozens of projects in the CLIR registry are concerned with civil rights, women’s history, slavery and Afro-American history, even if you got to acknowledge that some entries look very much like an all-compassing grant apply. It would be logical to filter results by adding the category Funded, but alas this is not yet possible. Before turning our back on the major and minor shortcomings of the registry project it is only fait to look at some CLIR projects which deserve applause. In Recordings at Risk CLIR invites institutions to apply for grants in order to safeguard endangered audiovisual recordings. CLIR supports the Digital Library Federation with for example a guide for digitizing special formats. Among CLIR’s own projects I would like to single out the project for a Digital Library of the Middle East (DLME), a project with partners such as Stanford University Libraries and the Qatar National Library. The DLME will be developed to contain not just digitized printed books, but also digitized archival collections, manuscripts and artefacts documenting the cultural heritage of countries in the Middle East. This project will join the ranks of project such as Patrimoines partagés of the Bibliothèque nationale de France, launched a few months ago, Menalib, the Middle East Virtual Library of the Staats- und Universitätsbibliothek Sachsen-Anhalt, Halle, and – closer to CRIL – the Oman Digital Library of the Middle East Institute in Washington, D.C. In the project of the BnF the Middle East is just one section among eight sections covering various regions and countries. CLIR rightly mentions the Endangered Archives Project led by the British Library, a project which deserved a post here. CLIR provides also fellowship grants. Everybody writing a grant application knows he or she has to fulfill several demands. The CLIR calls them core values. For the Hidden Collections program openness is one of these values, and I quote approvingly: “The program ensures that digitized content will be made available to the public as easily and completely as possible, given ethical and legal constraints.” It would be a sign of respect to all those scholars, staff members and institutions benefiting from or sponsoring the work of CLIR when the Hidden Collections Registry, too, does operate accordingly. In my view supplying the missing links is a necessary gesture. Some tuning would be welcome, too. When you look at all good things supported by CLIR the present state of this registry is hopefully only a temporary exception. Part of my concern about the CLIR registry stems from the situation around the IMLS Digital Collections and Content: U.S. History Resources from Libraries, Museums and Archives, a portal created at the Grainger Engineering Library, University of Illinois at Urbana-Champaign. After technical changes and a move to a new web address this potentially very rich resource does not function anymore. Ironically it is the version with the penultimate layout saved in the Wayback Machine of the Internet Archive which you can still browse, for example in the version of January 2012. You can easily retrieve the URL’s of digital collections at the end of the archived web addresses in the links of the old IMLS portal. Another example: Some of the firms selling digital collection systems had their own overview. One firm even used its own system for a database in which you could find almost 1,000 projects, the Collection of Collections, but alas this database has been removed, too; you can only browse the latest capture from January 2017 at the Internet Archive. This entry was posted in Archives, Libraries and tagged Cultural heritage, Digital archives, Digital libraries, Human rights, Legal history, Open access, Slavery, United States of America, Women's history on January 9, 2018 by rechtsgeschiedenis. The huge influence of German science and culture on the development of history as an academic discipline in the nineteenth century is something taken for granted. The image of a German professor lost in abstract thought in a country yearning for its romantic past is almost a caricature. However, not only professors walked through German university towns. In this post I will look at a well-known German writer who was also an active lawyer, serving as a judge. In December 2016 the Staatsbibliothek zu Berlin-Preussischer Kulturbesitz launched the beta version of the E.T.A. Hoffmann portal. On December 12, 2017 its final version was revealed. Not only in Berlin events are currently organized around Hoffmann. Let’s look what will fit into one post! At the portal you will find the following quote by Hoffmann: “Die Wochentage bin ich Jurist und höchstens etwas Musiker, sonntags, am Tage wird gezeichnet, und abends bin ich ein sehr witziger Autor bis in die späte Nacht”, on weekdays I am a lawyer and at the best a tiny bit musician, on Sundays I am drawing, and in the evening I am a very funny author until late night. I fear any attempt at a short biography of Ernst Theodor Amadeus Hoffmann (1776-1822) will inevitably be much longer than this one revealing description. Hoffman was born in Köningsberg (now Kaliningrad). In 1792 he started studying law, but soon he used also his musical talents as a teacher. His study went well, bringing him already early on to Berlin, but he worked also in Poznan, Plock and Warsaw, in that period part of Prussia. A rather successful period in Poznan, where some of his compositions were received well, ended with an affair around anonymous caricatures behind which one suspected rightly Hoffmann. The arrival of the French to Warsaw in 1806 brought a temporary end to his career as a Prussian servant. Eventually he settled in Bamberg as a conductor, and later he worked in the city theater. In 1816 he became a Kammergerichtsrat, but he unsuccessfully kept trying to work as a conductor, too. Meanwhile Hoffmann had started writing literary works. Under the restoration regime after the Napoleonic period he had in Berlin from 1819 onwards rather surprisingly the task to investigate people suspected of subversive plans. Hoffman used his knowledge of a particular case in his story Meister Floh, but he was charged with unlawful behaviour because he had allegedly publicized matters he was not allowed to divulge as a state official. Just before his case went on trial Hoffmann died after a prolonged illness. If anything this brief overview shows in a nutshell many aspects of life and culture in Germany from around 1790 to around 1820. It is characteristic of Hoffmann to be aware of the many sides of his short life. Hoffmann’s sketch from 1815 of the Gendarmenmarkt in Berlin, the Kunz’scher Riss, is presented at the portal as an interactive map bringing you to a life with many facets. Hoffmann lived nearby this central square in Berlin with the Nationaltheater. In the following paragraphs I will look only at some sections of the Hoffmann portal, but in fact you can find interesting matters in every corner. During his short life Hoffmann earned most of his bread as a lawyer. The portal has a large section E.T.A. Hoffmann als Jurist by Hartmut Mangold. Hoffmann studied law only in Königsberg, and for just three years. We are used to German students visiting several universities during their student years, sometimes to hear the lectures of a particular professor, sometimes for other qualities of a city. Hoffmann made such rapid progress that he could start very quickly with the practical part of his legal education, first in 1795 as an Auskultator (hearer) at Glogau, and from 1798 onwards as a Referendar in Berlin. He earned enough praise to follow his career in 1800 as an assessor (judge) at the Obergericht of Poznan (Posen). However, within a month he had to move to the small town Plock because of the affair with the caricatures. The two years at Plock were unhappy, but his efforts were recognized by his superiors who sent him in 1804 as a Regierungsrat to Warsaw. The French occupation of Warsaw in 1806 ended a lucky period of hard work as a judge combined with eager cultural activities. In 1814 Theodor von Hippel, a former friend from Königsberg, helped him to work again as a judge, first at a kind of minimum wage as a voluntary at the Berlin Kammergericht. Only after two years he got the full normal salary. His hard work brought him in 1819 a call to become a member of the special investigation committee, and in 1821 he moved to a rank at the coveted appeal court, the Oberappelationssenat. Mangold looks at Hoffmann’s views of the Schmolling case to assess his views as a judge in criminal cases. Hoffmann carefully analyzed a medical consultation which deemed Schmolling was not liable for his actions. In a following section you will see Hoffmann as a very conscientious member of the special committee which stood as one man against political influence and overruling by higher authorities. The committee had the task of a public attorney to bring legal actions against supposed offenders of the restrictions on political freedom. The committee saw in almost every case no criminal offense which could led to further persecution. He had to deal for example with Friedrich Ludwig Jahn, the man behind the popularity of gymnastics in Germany, often nicknamed Turnvater Jahn, who brough a case for defamation against Albert von Kamptz, a high Prussian official, who had slandered his name anonymously in two newspapers. Hoffman dealt in a humourous way with Albert von Kamptz in his story Meister Floh [Master Flea]. The story ended with the dismissal of the mischievous official who had created a case out of a few words. However, Von Kamptz recognized himself quickly in Hoffmann’s publication, and started a disciplinary action against him with the argument that Hoffmann had broken his duty to reveal nothing from official procedures. Hoffmann defended himself by pleading for poetic freedom. He died before a trial against him could start. Mangold rightly stresses the way in which Hoffmann conformed to the ethos of Prussian law and lawyers. Writing about Hoffmann I noticed how my enthusiasm to know more about him and about his work as a Prussian lawyer steadily grew. You had better look yourself! A major part of the portal is a digital library for many of his works and papers. You will find letters, editions of his work, portraits, manuscripts, music scores, drawings and ex libris. In the corner Kurioses you will all kind of matters, from a massive wine bill by a Berlin firm to some funny drawings. Hoffman twice kept a diary, during 1803 and 1804 at Plock, and in the years spent between 1809 and 1815 in Bamberg, Dresden and other towns in Saxony. It is great to find on this portal chapters accompanying the sections of the digital library. Thus you are enabled to look both at for example Hoffmann’s views on music as a discerning critic, gaining even approval and thanks from Beethoven, and at his compositions. His most successful opera Undine had a successful premiere in 1816 and gained high praise from Carl Maria von Weber, but unfortunately the Schauspielhaus burned down after the fourteenth performance. It marked the end of his career as a composer. Earlier on Hoffmann had changed his third name to Amadeus, a fair measure of the importance of music for him. Large sections of the portal are devoted to research on Hoffmann. You can for example look at an attempt to reconstruct his personal library. His juridical books were restricted to almost exclusively works on contemporary Prussian law. I assume he used in Berlin other books from the library of the Kammergericht. I had expected to find legal materials also in the digital library of the Hoffmann portal, but these are simply absent, nor in printed form or in manuscript. Among all the qualities of the portal I missed references to the services of the Kalliope-Verbund, housed at the Staatsbibliothek in Berlin, the great database with a German and English interface for searching personal papers and manuscripts of famous persons in the German-speaking world held by archives, libraries and museums. The Kalliope database rightfully alerts you to materials concerning Hoffmann in a substantial number of collections, with of course the Staatsbibliothek zu Berlin-Preussischer Kulturbesitz at the first place. The Staatsbibliothek in Berlin is the home of the E.T.A. Hoffmann archive. The Staatsbibliothek Bamberg, too, has holdings concerning Hoffmann. 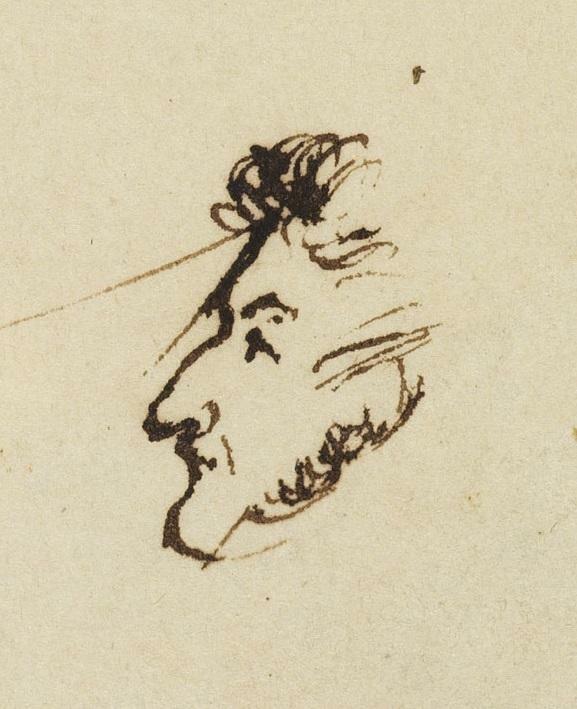 At the website of this library is a selection of drawings, early editions and letters. A look at the German Wikipedia page for Hoffmann brings me to a link for more works by Hoffman digitized at Bamberg. The page on Hoffmann as a lawyer leads only to the edition of his juridical works by Friedrich Schnapp [Juristische Arbeiten (Munich 1973)] and one article by Stefan Weichbrodt, ‘E.T.A. Hoffmann (1776 bis 1822)’. Juristische Schulung 2008/1, 7-13 . Luckily Mangold gives us more at the Berlin portal. The E.T.A. Hoffmann Gesellschaft has made Hoffmann’s house in Bamberg into a museum. You can see six virtual exhibitions at their website, including one about the story of Meister Floh and its impact. With interfaces in seven languages you are bound to read something on the website of the Hoffmann Society which you can understand sufficiently. In the last section I will turn to another story by Hoffmann which is now the heart of an exhibition at the Heinrich-Heine-Institut in Düsseldorf, Nussknacker und Mausekönig (Nutcracker and Mouse King), with much attention for the modern drawings for this story by Sabine Friedrichson. Hoffmann was and is famous for his certainly for Germany pioneering grisly tales. Combined with elements from other stories by Hoffmann a script was created for Tchaikovsky’s Nutcracker ballet, surely one of the most enduring and beloved ballet scores. Les contes de Hoffmann by Jacques Offenbach is an opera in which at least two stories by Hoffmann have been used to create its libretto. Some contemporaries concluded Hoffman was a bewildering figure, not to be taken seriously, but Hoffmann gained also admiration for his stories and music. Contemporary lawyers took him most seriously. If you look for some moments at Hoffmann’s life in a country suffering from the Napoleonic wars and its conservative aftermath you will recognize how sharp he saw the very different elements of life, war and society. In a romantic era his figure might at first seem romantic. but there is good reason to agree with Rüdiger Safranski in his masterful study Romantik. Eine deutsche Affäre [Romanticism. A German affair] (Munich 2007) that Hoffmann was a sceptic phantasy writer (“ein skeptischer Phantast”). In 1984 Safranski published a biography of Hoffmann with the same subtitle. In this post with in the last paragraph a reference to a ballet which nowadays belongs to a particular period of the year, I bring you indeed to the end of this year. When you are weary of legal history, listening to Tchaikovsky’s Nutcracker or reading some of Hoffmann’s tales will hopefully bring you some moments of delight and wonder. This entry was posted in Exhibitions, Libraries and tagged Art, Digital libraries, Germany, Judges, Law and Humanities, Legal history, Literature, Music, Virtual exhibitions on December 28, 2017 by rechtsgeschiedenis. How do you get the larger picture? Almost with a sigh we often long to see wide vistas, yet at the same time we want to zoom in while looking at a panorama of particular things. In this post I will look both at a repertory of particular sources, medieval and Early Modern city registers, for one country, Germany, and at an attempt to create a similar overview for medieval Europe. Last week I was alerted to the project for Germany, but this week I noticed also the project for a wider overview, and comparing the two projects is the most natural thing to do. The German project for Deutsche Stadtbücher has a subtitle in Latin, Index Librorum Civitatum. On closer inspection this portal can indeed be viewed in German, English and Latin. As for now the Latin is restricted to the headings of fields and filters. The project is the fruit of cooperation between the Deutsche Forschungsgemeinschaft, the history department at the Universität Halle-Wittenberg and the Cologne Center for eHumanities (CCEH). The portal offers four main entrances to search: cities, city registers, literature and archives. The word Archives stands here for holding institutions, not only archives, but also libraries. You can also use a free text field search. It is possible to search only for digitized registers, too. An extra is offered in the expert search mode, and you can also use an interactive map. This map can be used with some filters, but it seems a number of them is not yet active. However, you can go to a second interactive map, the DARIAH-Geobrowser which enables you to filter for periods and series of Stadtbücher. The loading of the results takes some time… On the main map you can select other countries as well. The database has for example currently entries for two Dutch cities, Kampen and Groningen. It is great to have bibliographies for many cities. City registers or municipal registers is a very broad term. The strength of this project is certainly the creation of eleven categories, ten categories with in four of them attention for those registers most dear to legal historians, court registers, statutes and bylaws, council registers, and the classic registers for acts and charters (cartularies). In the eleventh category you will find everything which does not clearly fit into one of the other categories. In such a vast project, spanning five centuries, you will find inevitably aspects which are either exhaustively or rather sparingly covered. Project leader Christoph Speer explains at his staff web page that for some Bundesländer he could build on the work of Reinhard Kluge in the former DDR for 450 cities with 70,000 registers, and he refers to a number of publications about the project and German city registers. In 2014 I wrote here about a number of projects for the digitization of Dutch and Flemish city registers, in particular court registers and council deliberations. I discussed projects for Leuven, Liège, and ‘s-Hertogenbosch (Bois-le-Duc). I briefly mentioned some maritime registers at Amsterdam and a project for medieval charters in Tilburg. The Leuven project Itinera Nova is supported by the municipal archive and the Universität Köln. Especially when I looked at the map of the Stadtbücher project in which a center of this university is one of the main partners I wondered for a few moments why Leuven is not mentioned, but it is better to look first of all within the limits set for the Stadtbücher project. Having within your reach a good and consistent repertory for one country is a fine thing, but often we set out to search for a digital version of one particular source, instead of going first to a relevant repertory. In this context it is perhaps a blessing in disguise that until recently I had not found many digitized medieval municipal registers. I had noticed a French project, Le Petit Thalamus de Montpellier, and a Scottish project, Law in the Aberdeen council registers, 1389-1511. In my 2015 post about portals for medieval history I mentioned briefly the section Paris médiéval at Ménestrel with much attention to legal documents. By the way, similar section at Ménestrel for Lissabon is promising, but has not yet reached this level. However, very recently I encountered the project Registres des déliberations municipales au Moyen-Âge: La voix des assemblées [REGIDEL], a project concerning cities in Southern France led by the Telemme laboratory at Aix-en-Provence. On November 24, 2017 the symposium Enregistrer les conflits. Pratiques délibératives et scripturales des conseils urbains en temps de crise (XIIIe-XVe siècles, Europe méridionale) [To note conflicts. Practices of deliberation and scriptural practice in urban councils in times of crises, 13th-15th centuries, in Southern Europe] took place. The project blog contains articles about cities such as Turin, Toulouse, Digne and cities in the Emilia-Romagna, in particular for Bologna. A companion to the REGIDEL project has got its own acronym, MUAR, for Medieval Urban Assembly Records, nothing less than a projected repertory for urban council records in medieval Europe. Like REGIDEL it is currently a blog at the Hypotheses platform. The website aims at becoming an archival and biographical repertory of municipal registers, with a focus on council registers, covering the period from the late twelfth to the early sixteenth century. The interface is in English, French and Italian. Currently there are sections reserved for France, Italy, the Iberian peninsula, the German empire, Britain and Ireland, the Low Countries and other countries. The striking feature here is the wish to classify cities in one region. For a moment I thought the team behind MUAR had fallen into the trap of placing cities in regions which successively were ruled by different rulers, but they mean current regions, for France even the départements. When I checked the various headings I found partially the same cities as mentioned above for REGIDEL. For Italy you can find Perugia, San Gimignano, Bologna, Reggio Emilia and L’Aquila. Orvieto is the most recent addition, but it has not yet been included in the section for Italy. Most links in this post are internal references. So far Marseille is the only French town in MUAR. All other sections are under construction. For each town a timeline of important events is provided. I decided to check the page for Bologna, a town which figured here in a number of posts, for examples concerning Italian city statutes and municipal ordinances. In one post I portrayed Bologna also as a center of legal history when discussing two projects in Bologna for the digitization of medieval legal manuscripts. In this post I mentioned for the Archivio di Stato di Bologna the digital version of the Estimi di Bologna di 1296-97, records estimating the properties of Bolognese citizens, and the Liber Paradisus, a register about the liberation of nearly six thousand slaves at Bologna in 1257. The MUAR project does mention the critical edition of the Liber Paradisus by F.S. Gatta and G. Plessi, Liber paradisus. Con le riformagioni e gli statuti connessi (Bologna 1956), but not the digital version. The Estimi do not figure at all, nor the digitized Registro grosso (1116-1380) and the Registro nuovo. It is tempting to say the team at MUAR has not yet realized how daunting their objective is, but we can read the notice telling the team is looking for scholars willing to cooperate with them. In view of the German project it seems wise they change from a blog to an online database to enhance search possibilities. For Italy one can benefit from the Scrineum project of the universities of Pavia and Verona, and more specifically from the Atlante della documentazione comunale italiana (secoli XII-XIV). This Atlante certainly does not cover all Italian towns, but you can find entries for cities such as Genua, Asti, Vercelli, and in particular for Florence. Scrineum provides you with background essays about notaries and libri iurium, and with essays on types of municipal legislation, with text examples from Genua and Florence. Is it safe to assume that there are various groups of historians dealing with legal documents in medieval Italian towns, and that every group has a particular focus? Instead of taking you with me through all kind of resources I had better translate words of Paolo Cammarosano: “As for municipal libri iurium for which there is now a prospect of the creation of a repertory and successively editions, the analysis to be done must reckon with great complexity, different articulations, mixing of matters and outright disorder (…)”, a quote from his article ‘I libri iurium e la memoria storica delle città comunali’, in: Le scritture del Comune. Amministrazione e memoria nelle città dei secoli XII e XIII (Turin 1998) 95-108, online at Rete Medievali Open Archive. The impression of a quick search for literature on libri iurium in the online bibliography of the Regesta Imperii is that of a wide variety of publications focusing on a fairly restricted number of Italian cities. One of the questions to ask for both the German and the French-Italian project is the presence and use of earlier printed repertories and related projects. For the Stadtbücher the team could rely on a project for the Bundesländer in the former DDR as a substantial point of depart. On a European scale fifty years ago a team with a great role at the start for two Dutch scholars, J.F. Niermeyer and C. van de Kieft, edited the first volume of the Elenchus fontium historiae urbanae (Leiden 1967), a project for sources before 1250. The first volume deals with Germany, Belgium, the Netherlands and Scandinavian countries. The other volumes cover France and Luxemburg (vol. II.1, 1996), Great Britain and Ireland (vol. II.2, 1988), Austria (vol. III.1, 1992) and Hungary (vol. III.2, 1997). On the website of the Commission Internationale pour l’Histoire des villes (CIHV) you can find PDF’s with the preface and overview of the contents of the volumes I and II.2. The Elenchus contains selected texts for the early history of medieval towns. The CHIV also stimulated the creation of country bibliographies. For Germany it is easy to mention recent and earlier works. Ulrich-Dieter Oppitz published the massive repertory Deutsche Rechtsbücher des Mittelalters (3 vol. in 4 parts, Cologne 1990-1992), in itself a successor to the earlier work by Carl Gustav Homeyer, Die deutsche Rechtsbücher des Mittelalters und ihre handschriften (Berlin 1856; online, Hathi Trust Digital Library; text only, German Wikisource) and his earlier Verzeichnis from 1836 (online, Bayerische Staatsbibliothek, Munich). Both works deal with legal treatises such as the Sachsenspiegel and Schwabenspiegel, but they look also at the laws of individual cities. A number of Rechtsbücher, influential municipal laws, and Schoffensprüche (decisions of aldermen) figure in the online version of the Repertorium Geschichtsquellen des deutschen Mittelalters under the heading Stadtrecht. I invite you to check also for example at Archivportal-D and the Archives Portal Europe for all kinds of city registers, for they can offer a quick way to relevant registers, too. Many Dutch rechtsboeken have been edited by member of the Society for Old Dutch Law. Some of the nineteenth-century editions in the first series of editions will not quite stand the proof of modern textual criticism, but at least a large number of them has been digitized at Heidelberg for the Textarchiv accompanying the online version of the Deutsches Rechtswörterbuch. It would be a good thing to create an overview of these texts, the original sources and whenever possible their current digital presence. To conclude this contribution, proposing the creation of either a national or an European overview of city registers in their various forms is one thing, creating them in a sensible and feasible way implies thorough reflection on many matters before even starting such a project. Overviews of one particular source genre can be most useful, but you cannot lift a source or a genre out of their context completely without impairing in the end historical understanding. This consideration works certainly as a factor which makes scholars rightfully hesitant to cooperate in such projects. The fact that you work with partners from other countries will surely help to widen your horizon and question your assumptions. Let´s wish all courageous scholars who nevertheless join these projects wisdom, good luck and stamina! My view of the German project Stadtbücher is rather positive, but it is right to add at least one comment from Klaus Graf at Archivalia who criticizes the working of the filters and the absence of information for some German regions, in particular Baden-Württemberg. In my opinion the north of Germany is covered massively, for other regions you can clearly wish for more. For Saxony you can benefit from the Gerichtsbücher database for some 22,000 registers concerning voluntary jurisdiction, for example property sales, mortgages, custody and wills. I spotted in open access the most valuable article on Magdeburger Recht by Heiner Lück in the Handwörterbuch zur deutschen Rechtsgeschichte III (2nd ed., Berlin 2013) col. 1127-1136. This entry was posted in Archives, Libraries, Manuscripts and tagged Digital humanities, Early Modern history, European history, France, Germany, Italy, Legal history, Medieval law, Urban history on November 30, 2017 by rechtsgeschiedenis. In happy and carefree moments you can be tempted to think that only the internet made it possible to have all possible kinds of knowledge within you reach. However, for centuries having a compact or massive encyclopedia on the shelves of your personal library seemed already to warrant this vision. Lawyers were no strangers to this opinion as I showed in a post about Early Modern legal encyclopedias. Interestingly there is a movement to recreate the world of old encyclopedias. In this post I want to look at some projects which bring you to online versions of older encyclopedic works. Some of them are still familiar among historians, others will come as a surprise. Among the Early Modern works that you might still turn to is at least one German work. I confess I had not quite realized how voluminous the Grosses vollständiges Universal-Lexikon aller Kunste und Wissenschaften by Johann Heinrich Zedler (1706-1751), published in 64 volumes between 1732 and 1750, followed by a supplement in four volumes. In 2006 two German libraries held an exhibition in his honour, Seine Welt Wissen. Enzyklopädien in der Frühen Neuzeit [Knowing your world. Encyclopedias in the Early Modern age]. This year I could use the Zedler in its online version provided by the Bayerische Staatsbibliothek in Munich to expand scarce information about members of a family in Kleve who served the Brandenburg government of this duchy. The makers of the 2006 exhibition drily note the Encyclopédie ou dictionnaire raisonné des sciences. des arts et métiers by Diderot and D’Alembert has only 17 volumes with 72,000 articles on 23,000 pages, whereas Zedler serves you 290,000 articles on 68,000 pages. Before exploring other works it is fair to look quickly at the great Encyclopédie and its current digital availability. Foremost among its modern incarnations is the searchable version offered by the team of ARTFL in Chicago. Its editors, Robert Morrissey and Glenn Roe, immediately mention the 11 volumes with illustrations that set this encyclopedia apart from all its predecessors and contemporary competitors. These plates and the character and quality of the contributions still command respect and admiration. The editors at ARTFL count 74,000 articles on 18,000 text pages. The information about supplements published after 1772, links to forerunners of the Encyclopédie, a bibliography and other essays enhance the ARTFL version which stands out for the search possibilities of Philologic4. More traditionally looking at first sight is the ENCCRE online version recently created by the French Académie des Sciences, with modern introductions and search facilities using a corrected Wikisource transcription. The acronym ENCCRE is a French pun on the word encre, ink. The Encyclopedia project for an English translation at the University of Michigan, too, offers more than a strict rendering from French into English. The plates can be quickly searched at Planches. Lexilogos does a great job in offering both the ARTFL and ENCCRE versions, and adding links to the text-only version in the French Wikisource, and last but not least to the digitized original volumes at Mazarinum, the digital library of the Bibliothèque Mazarine in Paris. This copy is used at ENCCRE, too. Zedler and the Encyclopédie deserve scholarly attention and quickly accessible modern versions, but other valuable works can readily be found. Let’s look at a few websites which bring you both to other general encyclopedias and to works focusing on specific scientific disciplines. Let’s go straightforward to the heart of this post, a tour of the wonderful German Enzyklothek. A few years ago I had briefly visited this portal, and I put it aside with the impression it does not contain much for legal history. However, this time I became intrigued by its sheer coverage, and I marvelled at its holdings. Peter Ketsch launched the Enzyklothek Historische Nachslchlagwerke in 2014. He offers access to digital versions or information about printed works in five sections: bibliographies, secondary literature, general encyclopedias, encyclopedias for specific disciplines, and biographic dictionaries. The sixth section for dictionaries is empty, a reminder you cannot expect everything at one portal. First of all it was a surprise for me to find here bibliographies. You will find here a number of entries concerning national bibliographies, but also some items for individual authors. For legal history I found in this corner only Rolf Lieberwirth’s study Christian Thomasius. Sein wissenschaftliches Lebenswerk. Eine Bibliographie (Weimar 1955). Among the bibliographies for specific disciplines Rechts- und Staatswissenschaften (disciplines concerning law, jurisprudence and government) are only announced, but alas no items have yet appeared under this heading. The general section on bibliographies starts with just one work from the late sixteenth century, and to me the choice of works in this section seems rather at random but nevertheless interesting. The section Enzyklopädistik with historical overviews and bibliographies of encyclopedias and specialised dictionaries is much richer. The section Sekundärliteratur contains a more personal mix of things. In the corner with websites it is good to note the projects at Wolfenbüttel and Braunschweig for a virtual recreation of the Thesaurus eruditionis and similar works, and also Welt und Wissen auf der Bühne, a project about Early Modern works which used the metaphore of the theatre, a project I discussed here, too. For the legal disciplines Ketsch mentions just three titles in this part of his portal, on various subjects, from Zeremonialliteratur, texts written by lawyers about official ceremonies, to economical treatises and their forerunners, the Hausväterliteratur. By the way, here Ketsch indicates titles can appear in more rubrics. At this point the question about using either rubrics or a form of classification using a thesaurus or another form of tagging entries, and a second question is the choice for a database versus single pages. The search function clearly suggests the presence of a database, but the tagging of entries could be more generous. However, you can apply multiple filters for author, title, year, location, publisher and language. For the genre Hausväterliteratur there are now 784 entries. A section such as the one concerning publications about single medieval encyclopedic works contains nearly 4,000 items. As for now there is a total of 21,000 titles in this database. Whatever the quality of the coverage, the quantity of entries commands respect. For many entries Ketsch has added links to translations in other languages, reference works and bibliographies. In some cases you will see a series of incunabula editions of works, this seems too much of a good thing, even for Diogenes Laertius’ Vitae phlosophorum. We must proceed now to the heart of Ketsch’s website, the general and specialized encyclopedias. For the general encyclopedias there is a division in periods (Antiquity, Middle Ages and Early Modern) and in entries for several modern languages. The presence of works in Danish, Swedish and Norwegian is a most welcome addition. In the section with Dutch encyclopedic works I encountered several books which you do not encounter often. In this respect it is good to see more popular and educational works. For the legal disciplines Ketsch mentions three German Konversationlexikons, in particular Herman Wagener’s Neues Conversations-Lexikon. Staats- und Gesellschafts-Lexikon (23 vol., Berlin, 1859-1867) was a massive project followed by modern successors. Ketsch scores by guiding you also to studies about the genre of the Konversationslexikon. If you want to know more about the Zedler Ketsch gives you some thirty publications. The biographical section of the Enzyklothek shows national biographies for twenty countries, showing their rich history from printed works to online databases. The subsection with women’ biographies contains some eighty titles, almost exclusively translations of and studies about Boccaccio’s De claris mulieribus. I had hoped for a very different content… At this point I must alert to Ketsch’s invitation for anyone interested to help him with his project. How show one judge the merits of the Enzyklothek? The Swiss project on Enzyklopädien, Allgemeinwissen und Gesellschaft [Encyclopedias, general knowledge and society] stopped adding entries after the launch of Ketsch’s website. The overview of works of the Swiss project, launched in 2001, offers an alphabetical list of authors, a chronological overview and a drop down menu for particular genres. Its strength lies in the descriptions of works and the attention to the context and variety of encyclopedic works. The project N-Zyklop (Universität Trier) which started in 2005 is another attempt at a full-scale database for finding encyclopedias. I checked here for works concerning Law (Recht). At first I was bewildered by the wide choice of works concerning trade and the presence of some biographical dictionaries, but you will find also the Vocabularium jurisprudentiae romanum by Otto Gradenwitz and other German scholars (Berlin 1903-1939). In particular the first edition of Jacob Bes’ Scheepvaarttermen. Handboek voor handel en scheepvaart (Amsterdam 1949) seemed gone astray, but in its multilingual version it became a classic work for maritime law, Chartering and shipping terms (1951). With some 5,000 entries and the possibillity to search for Dewey Decimal Classification codes in the advanced search mode N-Zyklop is certainly worth a visit, even if you have to translate the German terms used for every DDC code. While preparing this post I thought I had spotted in the Enzyklothek an entry for the digitized version of the Lexikon für Kirchen- und Staatskirchenrecht, Axel von Campenhausen et alii (eds.) (3 vol., Paderborn, etc., 2000) in the section Digi20 of the Digitale Sammlungen of the Bayerische Staatsbibliothek, but I looked at the wrong place, and thus I was at first unable to retrace it. Finally I realized I had seen it in the German Wikisource list of online encyclopedias and lexicons. This work brings me to the final section of this contribution for a quick comparison of the specialized encyclopedia websites with the lists of encyclopedias offered at Wikisource. Some of my readers might well ask why I choose not to start with them. The main reason for my choice is the fact the lists at Wikisource and Wikipedia are not always the fruit of systematic and methodic search, but there is a clear degree of control, and thus the information can be most useful. In fact I had expected the name of a very conscious and active contributor to the German Wikisource as the main author or coordinating editor of this splendid list. The German Wikisource page for encyclopedias has a section on Politik und Recht, politics and law. When you look at the works mentioned on it the Enzyklothek clearly is deficient. Among the notable works is the Deutsches Staats-Wörterbuch by Johann Kaspar Bluntschli and Karl Brater (11 vol., Stuttgart-Leipzig, 1857-1870). Bluntschli’s draft for a civil law code of the Swiss canton Zürich influenced the Schweizerisches Zivilgesetzbuch designed by Eugen Huber (1907). Bluntschli is better known as one of the founders of the Institute for International Law-Institut de Droit International. You will find als the first three editions of the Staatslexikon published by the Görres-Gesellschaft since 1887, with the eight edition now being published. Even today one can benefit from Emil Seckel’s continuation of the Heumanns Handlexikon zu den Quellen des römischen Rechts; the sixth edition (Jena 1929) has been digitized in Sevilla (PDF, 80 MB). I would have been most happy to report here on the wealth of information in the English and French Wikisource for legal encyclopedias, but alas this is not possible. The English Wikisource bring you to the first edition of a single multivolume work, The laws of Engeland, being a complete statement of the whole law of Engeland (31 vol., London, 1907-1917) by the Earl of Halsbury, an encyclopedia from beginning to the end and nevertheless avoiding this word in its title. The English Wikipedia lists five online legal encyclopedias. For completeness’ sake I note that the similar French and Ukrainian Wikisource pages do not give you any legal encyclopedias, but the Russian Wikisource mentions three legal encyclopedias. It is only logical the German Wikisource has also an interesting page Rechtswissenschaft for digitized old laws and older legal works. Both the various Wikisources and Wikipedias as resources in open access gain everything from the input and efforts of contributors. In my view it is wrong not to take them as serious as other encyclopedias in print or online. This rapid tour of legal encyclopedias taught me a few things. Apart from my preference to delve into old books it is simply important to realize the great encyclopedias in print and online of our century have many forerunners, a number of them taking much space on your shelves. The famous ones had their competitors, but there was also a market for abridged versions. It is good to see you can often hardly distinguish between legal encyclopedias and legal dictionaries. Another thing is almost a returning refrain here: do not stay content using just one major resource for any subject. The question of languages is a second thread on my blog. The use of the translation tool in a particular web browser from an omnipresent IT firm helps you to get at least a rough idea of contents, and it teaches you knowing a language inside out does help you in many ways. The books on early economic thought and their focus on running a household is a welcome reminder economics only started in the nineteenth century to claim an existence as a science. Private law has captured more attention from legal historian than public law, and this bias, too, becomes more clear thanks to these projects. Last but not least the predominance of German resources in this post is indeed due to my familiarity with German research. For German legal historians having the second edition of the Handwörterbuch zur deutschen Rechtsgeschichte in front of you on your computer screen as HRG Digital has been a major qualitative step, although you have to subscribe to it or find a university library with a license for this online resource. It is one of the dictionaries containing much more than you would expect. There is also a printed version of the second edition. It is fitting to end here with the efforts of Gerhard Köbler in Innsbruck, who has not only published a number of historical legal dictionaries, but also maintains a massive portal on German and Austrian law and legal history, including for examples concise biographies of many lawyers. Köbler prefers web pages above a database. As for libraries with collections of Early Modern legal works, and increasingly also digital collections, you will not stop me pointing here regularly to the Max-Planck-Institut für europäische Rechtsgeschichte in Frankfurt am Main. This entry was posted in Digital editions, Libraries and tagged Bibliography, Digital libraries, Early Modern history, Enlightenment, European history, Germany, Legal history on November 14, 2017 by rechtsgeschiedenis.